From sandy beaches, to tall mountains and balmy deserts, California offers a wide variety of wilderness to explore and a number of places within them to camp. 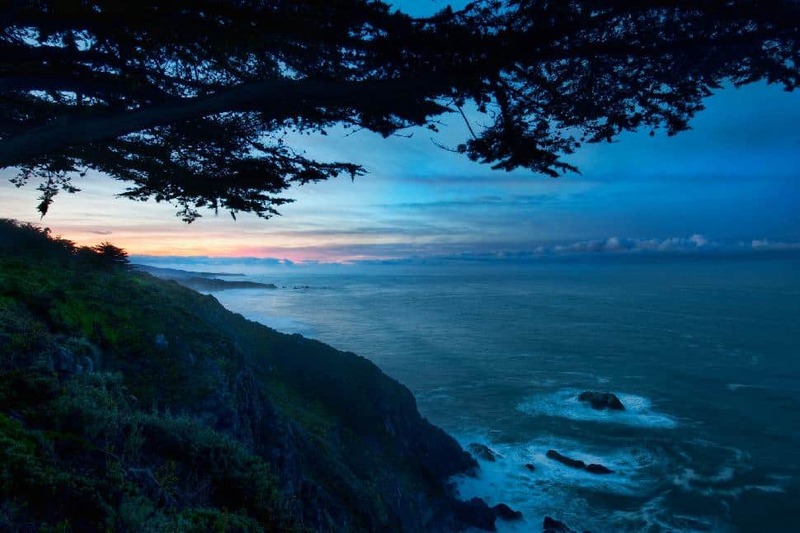 Whether it is camping in the Napa Valley by night and touring the wineries by day or surfing and camping among the many golden beaches of the Golden State, there are some great times to be had. Just about anywhere in California are some lovely campgrounds or RV parks where visitors can settle down for a few days. However, not all are such gems; here are some fantastic places to set up camp while in the state. Napa Valley isn't just for the luxury travelers and wine aficionados, most of the wineries within the region are accessible via campgrounds nearby so the more economically-inclined can enjoy the region and not get gouged for lodging. The Bothe Napa Valley State Park is located on the north end of the valley in between the towns of Saint Helena and Calisotga. The campground is nestled into the western hillside providing shaded campsite, a welcomed relief in an area that gets quite hot during the summer. The park is located nearby to five wineries within a mile's drive including the Frank Family Vineyards, Sterling Vineyards, and Duckhorn Vineyards. However, for those that came to the Napa Valley for the outdoors rather than the wine, the state park does not disappoint in that respect. 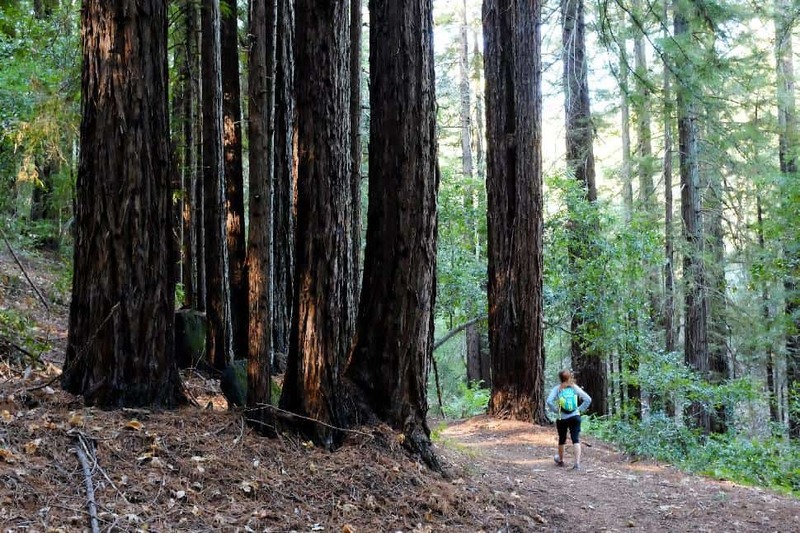 Visitors can stroll through the Redwood Trail to visit forests of coastal Redwoods intermixed with Douglas Firs, Tanoak and Madrone or journey into the canyon walls for other adventures. Whether it is taking to the backcountry or enjoying a simple stroll by the creek bed, there is ample outdoor adventure to be had in the Napa Valley even outside the vineyards. Though this is one of Yosemite's most popular campgrounds, it is well-received for good reasons. The Upper Pines Campground in Yosemite National Park is surrounded by spectacular views of landmarks within the park. It is also poised in such a position that it is made easy to visit them. From the campground, visitors will find hiking trails headed to famous Yosemite sights like Half Dome, Mirror Lake, Yosemite Falls, Nevada Falls, the Mist Trail and Vernal Falls. Visitors will also be close to Curry Village which provides groceries and other necessities. While most of the campsites within the campgrounds are shaded underneath tall trees and on flat ground, some of the sites are located on a slope that overlooks the landscape. Though these sites are not flat, they are well worth the inconvenience as campers will be privileged to the best views of the park as the campground sits at a lofty elevation of 6,000 feet overlooking the lower elevations below. The Upper Pines Campground is also just a short distance from the North Pines Campground; it is a fair place to stay as well without all the crowds, but without the prized scenery. The North Pines Campground holds the stables for the park, so visitors wishing to do some horseback riding will find it in plenty. 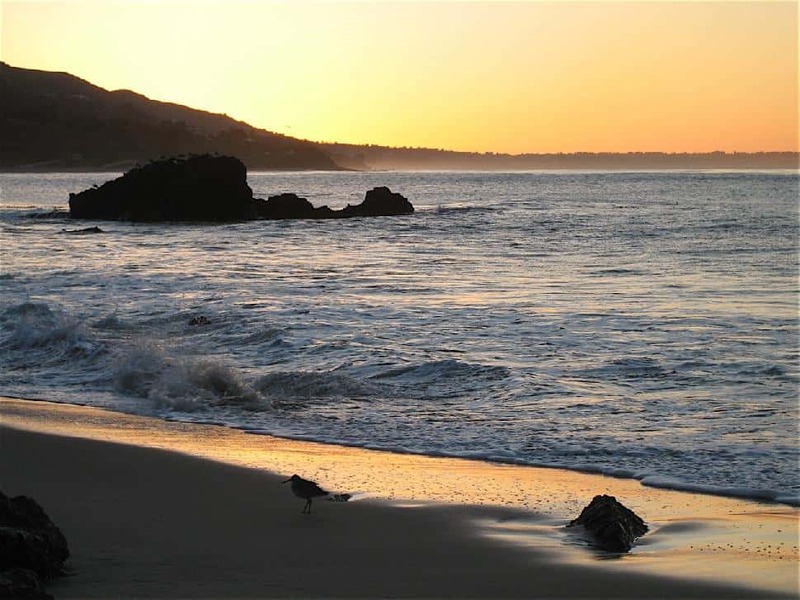 Leo Carrillo State Park is a 1.5 mile beach and canyon park that is popular for swimming, windsurfing, surf fishing and beachcombing. The canyon portion of the park also serves up some wonderful backcountry hiking, but most visitors are too enamoured with the beach to notice. The campground is not on the beach as some would prefer, but a few feet away in the shade of giant sycamore trees. The entire campground is treated to the soothing roar of the ocean and the smell of the salty sea air, but the sites located closest to the beach have the ocean well in view. Visitors have their pick of activities on the beach. It has all the classic water sports and some great surf but also tide pools, coastal caves and reefs nearby that are ripe for exploring. As the beach is sandwiched in between Point Mugu State Park and the Santa Monica Mountains area, it is far removed from the noise and unpleasantness of the large cities on California's coast. This means that visitors will not have to deal with the sweltering crowds that clog up city beaches that don't have nearly the quality of surf or camping on them. 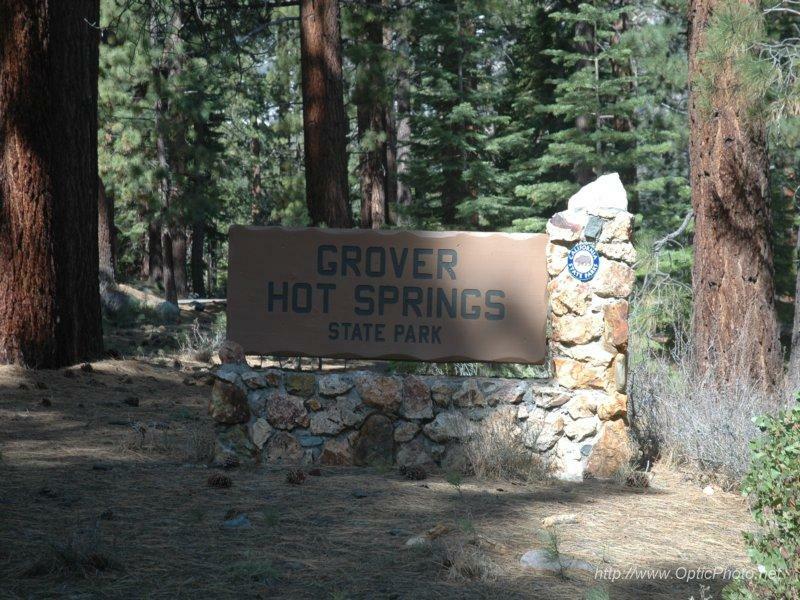 Grover Hot Springs State Park is located on the east side of Sierra Mountains, nestled in their spanning foothills. The area hosts open pine forests, sagebrush and beautiful wild flower meadows, but of course that is all largely ignored because of the warm mineral water that is held in the hot springs. The campground is located along Hot Spring Creek near to the developed hot springs area, so visitors are always in walking distance. While there are several hot springs in California, this particular one and its campground is located rather far from civilization making it an excellent escape for some peace and quiet. These hot springs were sought after before the advent of modern medicine for their curative properties. It is the mineral content that makes the water of the hot springs appear an eerie green, which some visitors have found off-putting, confusing it for algae content. Sadly, the hot springs in Grover have not remained a completely natural affair. Many modifications have been made to the pools to appease the desired comfort of the visitors to it. The park hosts two pools made of concrete that are the main attraction. These pools have been modified to regulate temperature as occasionally the water can heat to an unpleasant 148 degrees when it surfaces from the Earth's crust. However, there are lesser developed pools along Hot Springs Creek for those that do not want to visit the proper pools made of concrete and fed by the run-off from mineral spring. For those that want other activity outside the hot springs, they can fish for trout in the streams or enjoy peaceful walks in the meadow. The Grizzly Creek State Park is one of the smallest coastal redwoods state parks and at 30 miles from the sea it is also the furthest inland. However, its location far from the famous Highway 101/Avenue of Giants tourist route means that it attracts fewer visitors. Those who have gone to visit these ancient trees in other locations in California know how the experience can be marred by the presence of too many people. This hidden location does not mean the redwoods stand in any less majesty. They tower 300-feet tall here and visitors can wander endlessly on the trails through the forest. These redwoods are actually somewhat famous themselves; it was in this forest where George Lucas filmed scenes in the Star Wars sequel Return of the Jedi. Hollywood repute aside, the campground is nestled among these ancient trees and due to the continued preservation of the forest; there is a limited number of sites within it. The campsites are well spaced out, providing ample privacy for campers that seek to get away.